Dry needling is an innovative manual therapy technique physical therapists use, in which thin needles are inserted into myofascial trigger points (painful knots in muscles), tendons, ligaments, or near nerves in order to stimulate a healing response in painful musculoskeletal conditions. Releasing trigger points result in relief of pain and improved range of motion. The technique uses a “dry” needle, one without medication or injection, inserted through the skin into areas of the muscle. 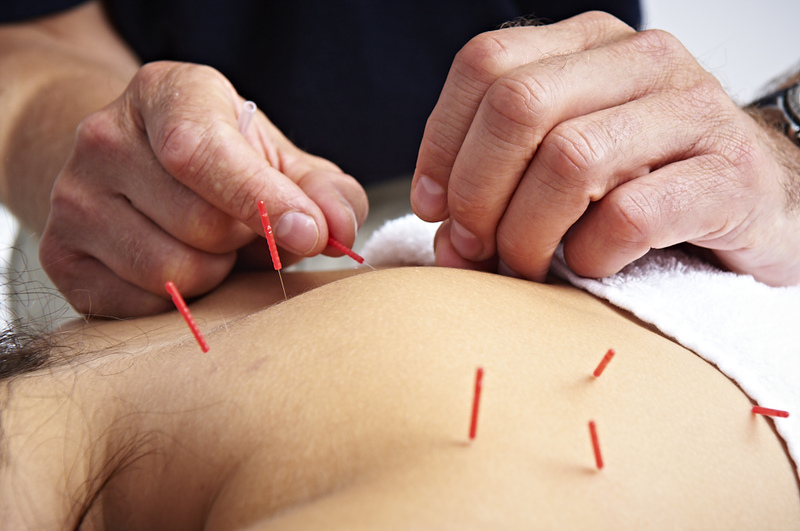 ​Dry needling IS NOT acupuncture or Oriental Medicine; that is, it does not have the purpose of altering the flow of energy ("Qi") along traditional Chinese meridians for the treatment of diseases. ​In fact, dry needling IS a Western medicine, science-based intervention, supported by research for the treatment of pain and dysfunction in musculoskeletal conditions such as: arthritis, neck pain, low-back pain, sciatica, SI pain, TMJ pain, lateral epicondylitis, carpal tunnel syndrome, shoulder impingement, tennis elbow, headaches, knee pain, shin splints, plantar fasciitis, hamstring strains, and so many more things! Research supports that dry needling improves pain control, reduces muscle tension, and normalizes dysfunctions of the motor end plates, the sites at which nerve impulses are transmitted to muscles. Dry needling has been shown by research to improve patient's pain and dysfunction by 3x, even in patients with chronic pain. ​Cummings MT, White AR. Needling therapies in the management of myofascial trigger point pain: a systematic review. Arch Phys Med Rehabil. 2001;82(7):986–992. Free Article.